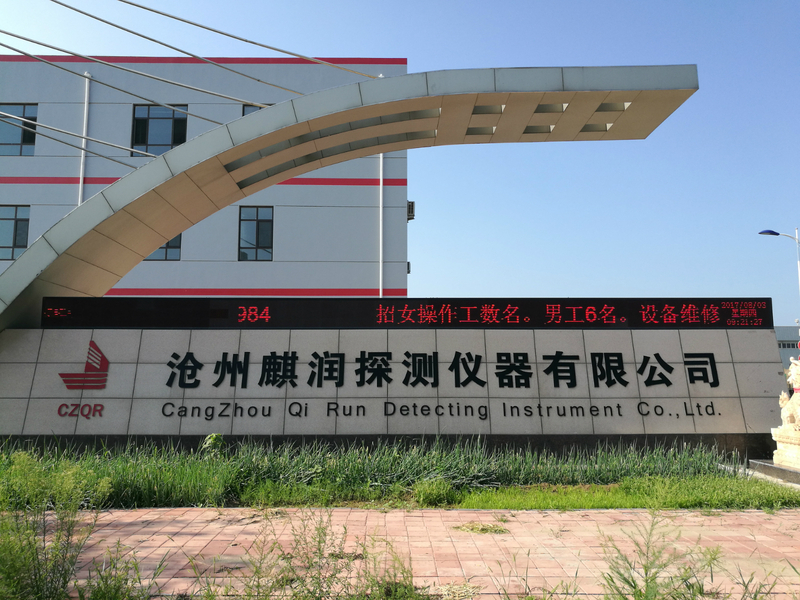 Cangzhou Qi Run Detecting Instrument Co., Ltd., which was the former Nanpi XieLi Electronics Factory that was founded in 1996, is a professional production company for metallurgical industry detection, sensor and instrument. The company covers an area of 20000 square meters, construction area of 12000 square meters,and more than 200 employees. Qi Run owns many workshops sunch as stamping, machining, casting, paper tube, assembly, thermal instrumentation, research and other major production workshop. More than 95% of the parts have achieved self-control, which effectively reduces the cost and enhances the competitiveness of us. Oxygen Probe 500 thousand each year. Depending on strong technical force, advanced equipment, exquisite technology, continuous improvement of production management and quality assurance system, Qi Run is committed to the use of advanced technology for detection, sensing and research instrument manufacturing. The management of Qi Run is changing from quantity to quality and technology, and thoroughly executing the ISO9002 series standard. In order to adapt to the needs of the development of metallurgical enterprises and industrial production automation control, the quality management is the main way to take the road of internationalization and enhance the competitiveness of the foundation. Enterprise philosophy: gather talent to service society, and synchronize with the world! According to the development concept of [relying on scientific and technology, respect intellectual, pragmatic, pioneering and innovative", and depending on the enterprise purpose of[guided by technology, survived by quality, occupying the market with honesty, developing with good products", Cangzhou Qi Run Detecting Instrument Co.,Ltd never stops improving and innovating, and we will provide new products with better performance and higher quality for the majority of customers. Qi Run will warmly welcome friends from all over the world to visit and guide, to discuss cooperation, to develop together, and to create a better tomorrow for the world! Company Name: Cangzhou Qirun Detecting Instrument Co., Ltd.